The cast of characters crazy enough to try this. Image courtesy Native Instruments. In 1985, Thomas Dolby, Herbie Hancock, Howard Jones, and Stevie Wonder met onstage in Los Angeles to perform a Synthesizer Medley. (See video, bottom.) Can vocalist/electronic music legend Jamie Lidell (and keyboadist Mr. Jimmy), experimental sound guru and producer Tim Exile, champion turntablist DJ Shiftee, and “finger drummer” virtuoso Jeremy Ellis pull off something that epic, backed by visuals from Berlin’s Pfadfinderei? That’s what music tech vendor Native Instruments is hoping, as it debuts the “superband” Mostly Robot at SÓNAR in Barcelona in June. Now, when you hear something like this backing NI’s products, you might assume the whole thing is a publicity stunt – slash – product demo, but this is an actual performance and official SÓNAR event, not something relegated to a booth or showcase or something. So, while, yes, Maschine, Reaktor, Traktor, and FM8 all figure prominently, the quality of the music will have to fall or fly on the musical performance. And the roster of artists, for their part, are closely involved with these tools, sometimes even directly in development. The big hook, apart from the artist lineup: the performance will be fully improvisatory. There’s no clock between instruments, no grid in advance. And the artists will be using unreleased material from their own work. The visuals are part of the presentation, too, as Pfadfinderei visualize note and controller data and audio content in projected accompaniment to the show. We still don’t know exactly what this will sound like – well, apart from knowing something about each of these artists – but I was curious to get more background. I asked the team from Native Instruments that put together the performance to explain themselves. Beyond that, of course, the proof will be in the final performance; we’ll be watching. CDM: What is the instrumentation for each of these artists? NI: Jamie Lidell’s main instrument is his voice, which he will use to sing the lyrics but also use to create interesting sounds. On top of this, he will use Maschine to fire off samples and synth sounds. DJ Shiftee is a turntablist using Traktor Scratch Pro with the new F1 controller, 2 turntables and a DJ mixer. Jeremy Ellis is using Maschine to play all drum and percussion sounds live. Mr. Jimmy is a keyboard wizard and the harmonic lynchpin who loves FM8 but will also use a lot of the other instruments and sounds from Komplete. Tim Exile will have his hands on the controllers which entirely control his self-made Reaktor ensemble. The visual artists Pfadfinderei will receive note and controller events created by each individual musician on stage to generate motion graphics in real time which then will be projected on the big screens on stage. Okay, so Native Instruments is now putting together a superband — how, exactly, did that come about? together plus adding the keyboard master and harmonic lynchpin Mr. Jimmy and the visual artists Pfadfinderei. For us, Sónar is the ideal environment to host this debut show. We actually had the “Native Lab“ at Sonar festival way back in 2001 so the idea of collaborating had long been in the air. At this point it all just made sense, and getting this opportunity to work with such great, creative individuals and being able to put them on a stage at one of the world’s finest electronic music festivals was a no-brainer. Have these artists done anything like this before? As mentioned, three of some played together once, but apart from that, no. 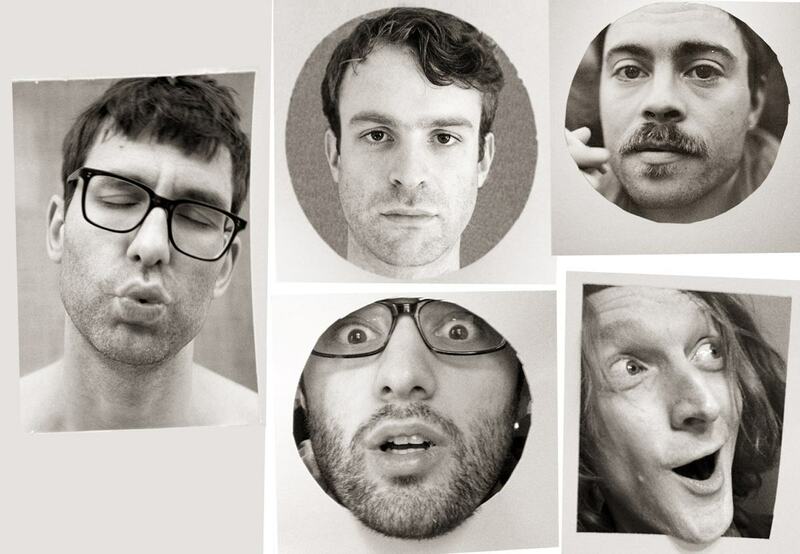 Of course Mr Jimmy and Jamie Lidell know each other from going on tour together. Can we see some of the work of Pfadfinderei elsewhere? The visual show Pfadfinderei create for the Mostly Robot show will be unique. They will be based on a completely new approach using the note and controller events of the musicians to generate motion graphics in real time using Quartz Composer. But Pfadfinderei have of course already done other great shows: on their website you can see other some examples of their work for Moderat, Modeselektor or Paul Kalkbrenner. Some of these artists have been involved in the development of this technology, too, yes, as well as playing it? unique Reaktor setup. Also, Shiftee is always in close contact with Traktor developers. We always work as close as we can with all of the involved artists.